French sailor and longtime friend of the hour mark Jeanrichard Frank Kamm was named by the French Federation of yachtsman yachting. Kamma is a partner Jeanrichard watch brand since 2011. In December in Paris, the exhibition Paris Salon Nautique athletes were awarded. 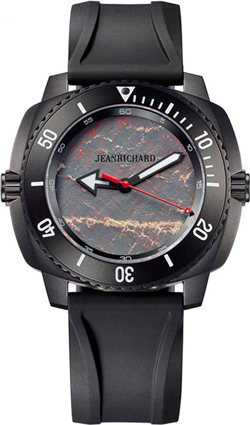 CEO Jeanrichard Bruno Grandi, who arrived in the French capital on the occasion, he handed athlete clock Jeanrichard Aquascope Victory Watch, the dial is made of the grotto of the winning yacht regatta Volvo Ocean Race 2012. Frank’s success Kamma reflect his philosophy, which became the basis of freedom and liberty. This philosophy is perfectly correlated with the aspirations of the brand Jeanrichard.